For any job that needs masking. 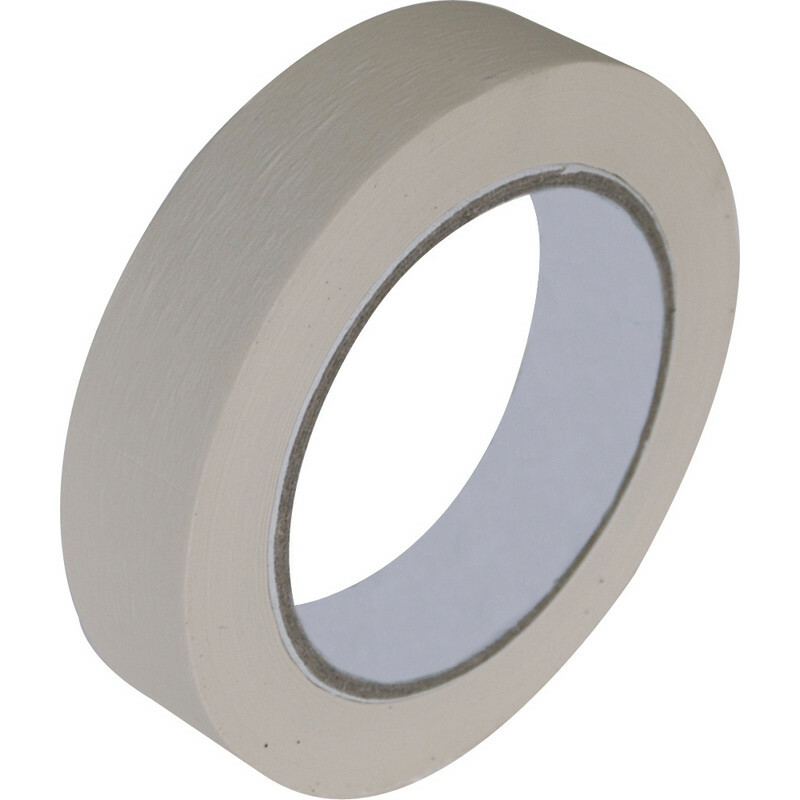 Masking Tape 25mm x 50m is rated 4.0 out of 5 by 41. Rated 1 out of 5 by HydeyHo from Doesn't come off! Service from ToolStation was fine and the price was good, but the masking tape was awful. Sticks OK, but took ages to pick off the floor sliver by sliver because it wouldn't come off in anything resembling one piece less than 24 hours later. Rated 5 out of 5 by Gray01 from Ideal THis masking tape is quite strong, with good adhesion. It does not leave a residue when removed. It is ideal for masking (of course) but also for use insted of uncontrollable 'sellotape' or packing tape when joining paper or making up packages for posting. Rated 5 out of 5 by hidde79 from Sticks just the right amount Very useful for painting skirting boards. Sticks better that other tape I have used, but leaves surfaces intact. Easy to tear. Rated 4 out of 5 by Rjbr from Versatile This is the first time I've ever bought this item and not for masking either. It's ideal for when your sawing plywood. Mark your wood put the tape over the mark then mark the tape and cut. Your wood doesn't splinter .